You'll be surprised what's making a comeback! If you work in the hospitality industry, you understand clothes aren’t the only things that come and go – in and out of style (bell bottom jeans and potato salad anyone?). 2017 saw some fun food trends that changed the way we cook and, more importantly, eat. Looking ahead to 2018, culinary experts are predicting a wide range of ideas and recipes that are set to explode into the mainstream. So, if you are looking to refresh your menu or take advantage of the ‘next big thing’ read on and put your own spin on these top five food trends for 2018. To the uninitiated, fermented foods may seem an unappetising place to start. Claimed to boost your digestive system and energy levels, fermented foods like kimchi, pickles and yoghurt have recently gained huge popularity as whole food stores and health food warriors spruik their benefits. But they also offer benefits to chefs looking to boost the taste and texture of menu offerings – adding some sour, bitter or umami tastes to otherwise simple dishes. 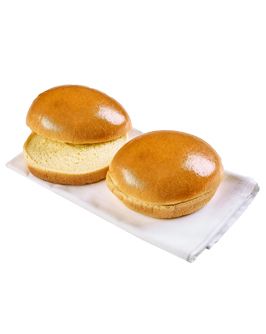 Plus, they have preservation properties that increase their shelf life making them an easy staple to keep on hand. Carbs are back. The ‘Dude Food’ revolution that saw crazy burgers, decadent fried food and cheese (and lots of it) will continue to grow in 2018 as social media spreads the love for these over-the-top creations. There is something about the world’s biggest parma (or burger, or pizza, or bowl of nachos) that will always keep people coming back for more. Take advantage of the trend by offering gourmet burgers that pair well with extravagant loaded fries. We all watched “War on Waste” on the ABC earlier this year and know that it is going to take more than green bags and keep cups to make a difference. Restaurants around the country are coming to terms with the problem of wastage and we are seeing more and more no-waste or “root to leaf” cooking emerging. Following the ‘nose to tail’ approach that was popular a number of years ago, this means chefs are trying to use every single part of a fresh ingredient instead of allowing it to go to waste. Carrot top pesto, shaved broccoli stem salad and pumpkin skin chips are all good examples. As chefs embrace breakfast time for its ease and potential for creativity, it seems a no-brainer for the breakfast menu to extend into the afternoon. More and more restaurants are serving a brunch-type menu all day and diners can’t get enough. Breakfast offerings have something for everyone with sweet, savoury, heavy and light options. 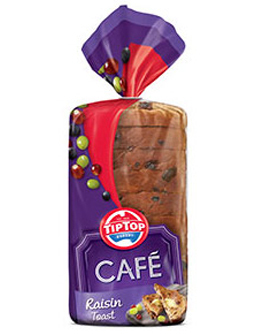 In fact, as the low carb diet continues to gain in popularity, lower carb breakfast options will become more in demand. 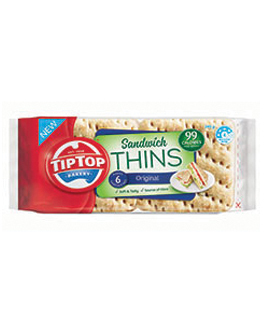 For instance, Tip Top’s Sandwich Thins are a perfect option for customers who want a hungover brunch without the carb overload. With more Aussies travelling overseas, world cuisine has become even more popular in Australia. Korean food has been on the rise for some time and Australians have always had a soft spot for Japanese. But both are about to make their mark in 2018 as we see chefs not just repeating the same ideas but instead putting new hybrid spins on old classics. Think seaweed, tofu and squid additions to traditional offerings and Korean inspired burgers and breakfast items. By all accounts, 2018 will be a big year for the Australian foodservice scene, with some big flavours, cooking styles and cuisines predicted to make a mark on the industry. Savvy foodservice operators should begin to play with flavours and ingredients now, to stay ahead of the curve and attract the crowds early.